In 2003, Volkswagen was the first manufacturer to offer a high performance, dual-clutch, automated-manual transmission in mainstream production cars. 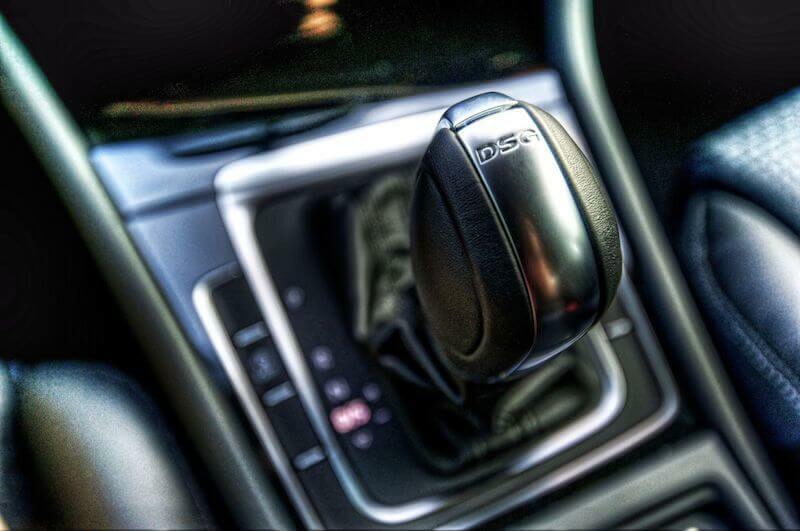 Their brand name for this technology is direct-shift gearbox, or more commonly known as simply DSG. Instead of using a torque converter like a conventional transmission, the DSG is made up of two clutch packs – one for even gears, and one for odd gears and reverse. This allows for forward gears to be preselected and results in lightning quick up-shift times of only 8 milliseconds! In addition to blistering performance, fuel efficiency is up to 15% better than a conventional transmission. While performance is outstanding, the DSG is highly complex and as a result requires more frequent maintenance and specialized repairs. The most important maintenance you can have done to your DSG transmission is routine fluid and filter changes. All VW models with a DSG call for 40,000 mile change intervals and require specialized fluid. The reason why this is so important is because all of the DSG variants found in the US have wet, multi-plate clutch packs (similar to a motorcycle). What that means is, the clutches are submerged in a special gear oil that provides lubrication and cooling, as well as collecting any material that sheds from the clutch plates, which then accumulate in the filter. Without clean gear oil, the transmission’s performance and reliability will suffer. There’s significant risk of damaging the clutch packs and hydraulic valves found in the electronic control module. This control unit is referred to as Mechatronic. The Mechatronic unit controls shift operations using a hydraulic control valve assembly in conjunction with individual sensors and actuators. If contaminated fluid is allowed to pass through the Mechatronic’s valves long enough, they will eventually become clogged and the transmission will no longer function properly and will require costly repairs. When your DSG transmission needs maintenance or repair, bring it to the professionals at Spotlight Automotive. We specialize in Volkswagen repair and are experts in DSG fluid changes, as well as diagnosing Mechatronic faults. As an independent repair shop, we’re able to offer dealer-level workmanship while saving you up to 40%. Give us a call at (312) 967-0732 or use our convenient online scheduling tool to make your appointment.